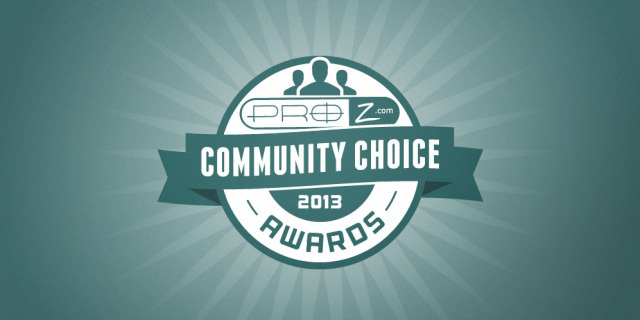 The ProZ.com community choice awards will be hosted annually by ProZ.com, as a means to publicly recognize language professionals who are active, influential or otherwise outstanding in different media throughout the industry. Hopefully they will be fun too. Nominations can be made in various categories, divided into "Translation-related" and "Interpretation-related" sections. Anyone with a ProZ.com profile can participate in the nomination and voting. Nominees who reach the voting phase, and winners, are determined entirely by the ProZ.com community. Nominations are now being accepted, until May 31st. I've recently suggested a new category under "Other" and understand that this new category will be adopted only if at least three nominations are made in it. My question is: how will Prozians know of the existence of the proposed new category? If they don't know it exists, they can't make nominations. My proposed new category is: Most consistently helpful contributor to Proz forums". First, thanks for making nominations! My question is: how will Prozians know of the existence of the proposed new category? Good question. My hope was that the "need" for additional categories would become clear even if nominators were unaware of suggestions made by others. I think this is what is happening. Others have nominated along these lines as well. At the moment there may be room for at least a broad "helpful contributor" category, which could eventually be broken into forums, KudoZ, on and off the ProZ.com site, etc. (but not necessarily). It's still early in the nomination phase, but some existing categories may not be needed at all, while these new categories emerge. To those who have not made their nominations yet, remember that this phase will close May 31st. Spread the word! This is a great initiative, but I was trying to include our website, FB and Twitter to the awards and it said I was not authorized to participate. Then I tried again and it accepted my entry only when the form was blank. Now it won't let me enter anything because it says I already participated. Thanks for reporting this, Diego. You should have access to the form now. Please could you now tell us what "other" categories have been proposed and make them visible? As you know, I have proposed one, but I've no idea whether or not it has been adopted. If we don't know what the "other" categories are, we can't propose anyone for them. Where can I see the winners? Or haven't they been picked yet? Chances are you won't find three nominees for perhaps a good deal of those categories. My apologies for the delay in replying here, and the delay in reaching the voting stage! Fortunately, my fellow teammate Romina will be taking over from here, and she will be announcing the opening of voting for this year's awards momentarily. Thanks to all who made nominations, and I appreciate your patience. Hi! I must have missed the nominations, but there is a book missing, and a course, from Corinne McKay. The book is "How to succeed as a freelance translator" new edition, and "Thoughts on Translation", and she is also giving an online course regularly, "How to get started as a freelance translator". I see now that the voting has started, when will it end and when will the winner be announced? Sorry you missed the nominations phase. The reason why you may find that some books are missing could be that, either there weren't enough (or any) nominations for those books, or they didn't meet the criteria (published (print or digital format) from January 2012 to date. May include re-releases or new edition). The voting phase will end on October 17 and the winners will be announced on October 21. You can click here to vote in translation-related categories and click here to vote in interpretation-related categories. Note: post has been updated to include relevant information and links to voting pages. I must have missed something. You say that the voting has started. Please could you explain how we can see the nominations and how we can vote? The start of the voting phase has been announced here. You can click here to vote in translation-related categories and click here to vote in interpretation-related categories.